So glad you could join us this month. So excited to share with you my many talented Design Team sisters with their many projects that they have created using at least 2 cartridges!! I used Kate's ABCs and Formal Occasion for my projects today! For my first project, I used Kate's ABCs. I cut out the image of the butterfilies out at 3 inches. Of the 4 butterfilies, I only used 3. For the background paper, I used the Heirloom and Bestfriends cartridges. 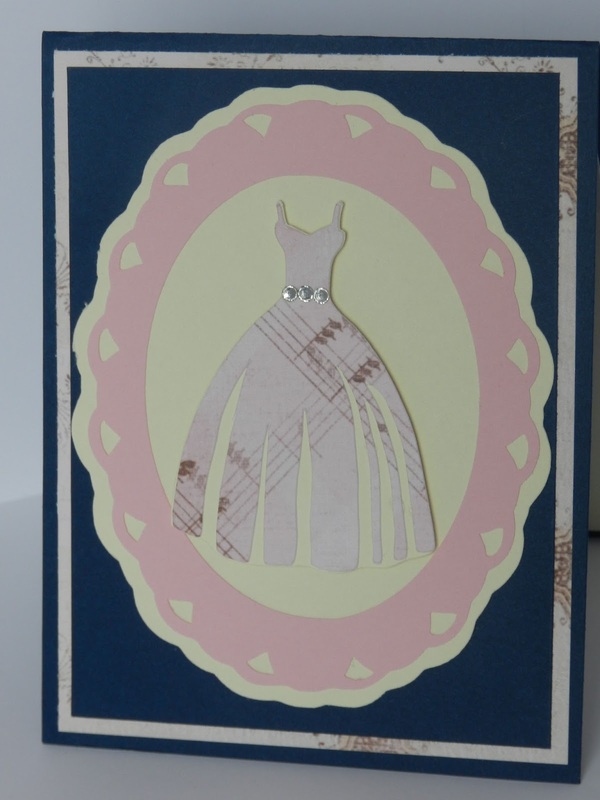 The second project I have for you today is using the Formal Occasions cartridge. I wanted to keep this card simple and I can go back and use it as a note card or a thank you card. I cut the dress form out at 3 inches. I also used the Heirloom cartridge for the background paper. For the frame, I used the Elegant Edges cartridge, which is cut out at 3.5 inches. I added some rhinestones for some added bling to the dress. Please head over to Sara W's blog for some more inspiration! In honor of her Birthday she launched her stamp line..... Each day we have one set of stamps to give away. You can also purchase them in her store and enter to win the Silhoueete Cameo that she is giving away. She has Action Wobbles, Royal Twine, and foam squares in her store. Very nice cards! They turned out great! very pretty cards, sometimes the clean and simple cards have the biggest impact! Love your project and became a follower!!! Both pretty cards! Butterflies are in this hop...I used one yesterday in one of my projects! LOL! New follower! I think the cards are beautiful and I LOVE the butterflies...just got that cartridge! very sweet and pretty cards! Great job. That butterfly card is so pretty!! 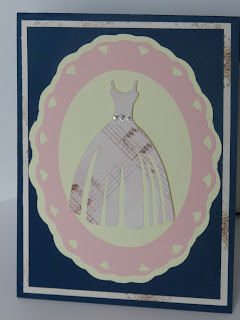 Pretty cards- always a great idea to have some basic notecards that you can use for anything around. great cards! they are both very pretty. Thanks for sharing! 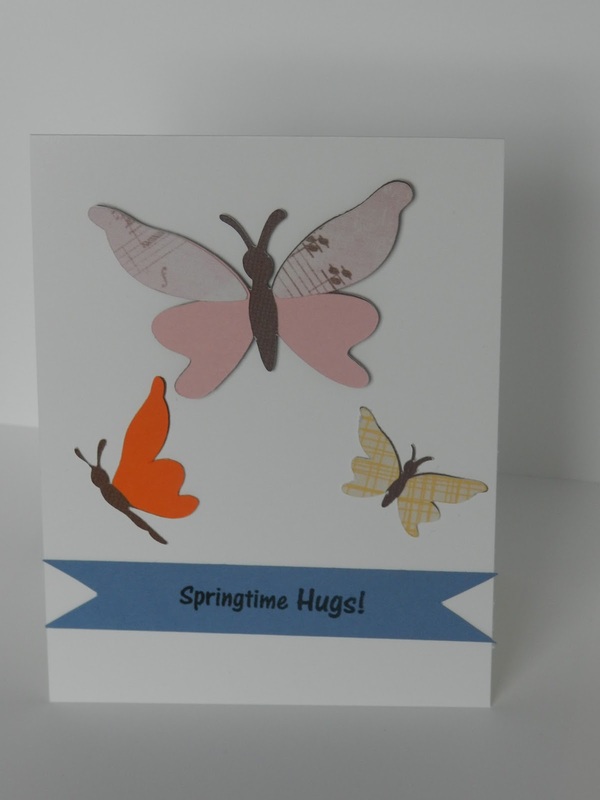 I DO like the simplicity of the cards, the dress one is my fav but I love the way you made the butterflies with the different papers! Nice job! Hope you had a wonderful Easter! Great cards! The dress is wonderful and I love those butterflies. TFS.